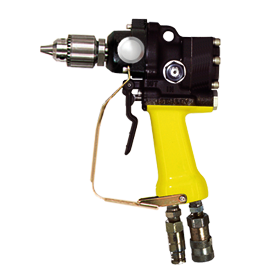 The Stanley DL07 Hydraulic Drill is a 1/2 inch capacity drill for drilling in wood, metal, or masonry. 12 gpm (45 lpm) maximum operating range. 1/2 in. keyed Jacobs® Chuck. Open Center or Closed Center operation.